Roel Has Grown Too Fast! See that teen-age boy behind me? He debates with me every chance he's got; laughs at me at non-sense things and rocks this mother's heart around all the time! I remember carrying him in me thirteen years ago and praying hard for a safe pregnancy. I had hypertension and had to have an induced labor. Ahhh it was a difficult pregnancy which was all worth it! 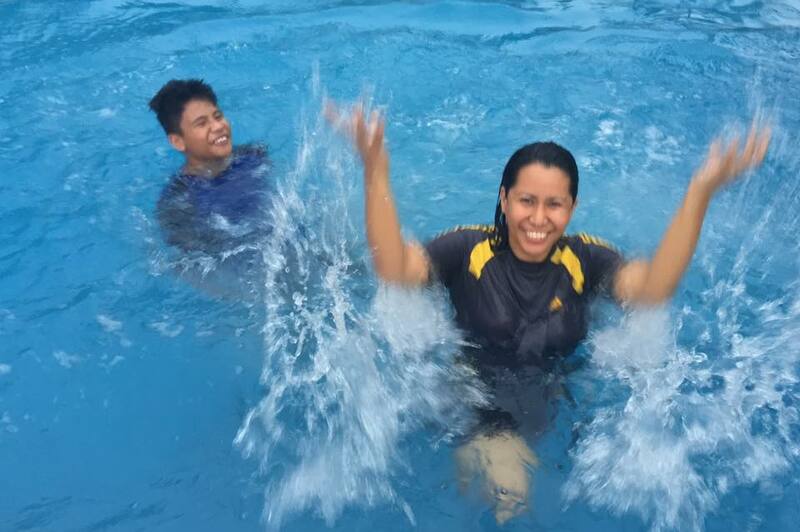 Looking at our photo makes me wanna plan another swimming party for no reason at all with the fambam. Now time to check on the kiddo! He has to get ready for school!